The Vice-President of the European Parliament Anti-Racism and Diversity Intergroup (ARDI) and Chair of ARDI’s Islamophobia Working Group Sajjad Karim and the Chair of the European Parliament Working Group on Antisemitism (WGAS) Juan Fernando López Aguilar hosted a roundtable in the European Parliament on the outcomes of the first European Union (EU) Annual Colloquium on Fundamental Rights on antisemitic and anti-Muslim hatred and hate speech in Europe. The focus of the roundtable comes after a couple of years in which antisemitic incidents rose, culminating in fatal terrorist attacks in several European Union countries against Jewish citizens, as well as years of increasing anti-Muslim hatred in the form of verbal and physical violence against Muslims. The roundtable brought together different stakeholders to discuss how to move forward the outcomes from the colloquium for projects, policies and legislation designed to combat hate crime, hate speech and discrimination against Jews and Muslims. Guest speakers included the Coordinator of the No Hate Parliamentary Alliance, Council of Europe, the Director for Society and Integration at the Netherlands Ministry of Social Affairs and Employment, EU Coordinators on Antisemitism and on Anti-Muslim hatred, Representatives of Twitter International Company as well as civil society organisations. During the roundtable speakers welcomed the commitment of relevant stakeholders to fighting Antisemitism, Islamophobia and hate speech and in particular the European Commission’s decision to appoint Coordinators on Antisemitism and Anti-Muslim hatred who will contribute to the development of the European Commission’s overarching strategy to combat hate crime, hate speech, intolerance and discrimination. 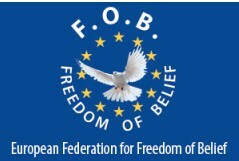 As part of the EC’s strategy, many speakers called for the adoption of the European Union Equal Treatment Directive, National Strategies to combat Antisemitism and Islamophobia and the need for working together with industry organisations and civil society to combatting hate speech and crime as well as amplifying voices of tolerance and respect within the public and digital sphere.